The Chateau Lacombe Hotel is a featured vendor in the 2018 Wedding Fair - Sunday, January 7th 2018. Chateau Lacombe is Celebrating 50 Years of Memorable Moments! Since celebrating their grand opening in 1967, the Chateau Lacombe Hotel has been the center of Edmonton hospitality for over 50 years. 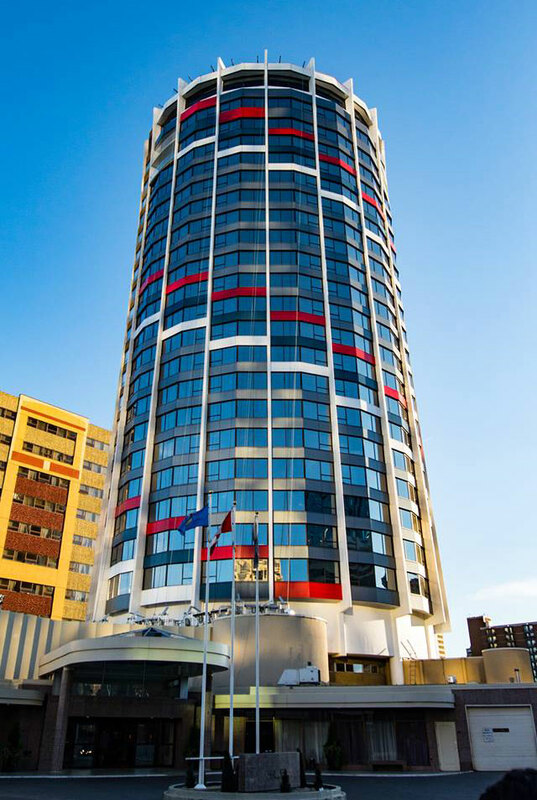 As Canada celebrates its 150th, the Chateau Lacombe Hotel will also be honoring its 50th Anniversary with promotions throughout the hotel and Laronde, Edmonton's only revolving restaurant. Over the decades, many Edmontonians have shared their memorable moments at the hotel. Stories of engagements high in the sky at Laronde, attending weddings in the elegant Chateau Lacombe Ballroom. Indeed, home to countless Galas and graduations, the beautiful ballroom chandeliers have witnessed it all. We invite you to share your Memorable Moments with us. Please submit your stories to sales@chateaulacombe.com. Our Top 50 memories will be shared via Social Media and be eligible for Gala tickets for our celebratory event in September 2017. The historic and locally owned Chateau Lacombe Hotel vision is to be the best, most respected hotel in Edmonton recognized for excellence in hospitality. In May 2013, under new Edmonton ownership and leadership we set forth to achieve this goal through reinvestment into hotel product and guest services. We are pleased to share our "new" look at the Chateau Lacombe Hotel. With our recent installation of new windows, we also took the opportunity to align with the recent and exciting new downtown arena development by beautifying the hotel. We are delighted to share that we are replacing the stucco of yesteryear with modern, contemporary colour panels that will showcase the exterior of the hotel as part of the overall multimillion, renovation journey of the Chateau Lacombe. As fashion and design change over the years, we too will be able to update the panels to relevant and modern colours.